When one mentions Peru, our imagination most often times would automatically lead us through the famous Incan City of Machu Picchu. Indeed, Machu Picchu has almost become a symbol for Peru. And we have no objections. 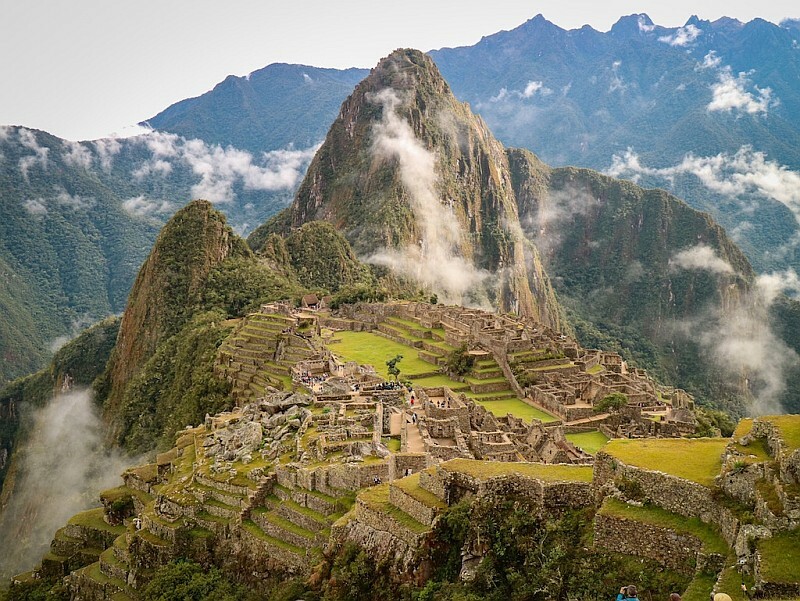 After all, Machu Picchu is truly unlike any other place one could ever visit. It has rightfully earned its distinction as one of the Seven Wonders of the World. Perhaps like many adventurers on Peru group tours, your initial purpose for flying to Peru is to experience the challenging (yet rewarding) 4-day trek to Machu Picchu. This legendary Incan trail is no joke, but the sense of joy and accomplishment that comes with completing the journey is unrivaled. However, once you have made your pilgrimage to Machu Picchu, we highly suggest that you take the detour to see and experience the other side of Peru. 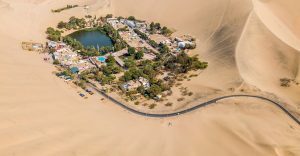 The desert village of Huacachina is just 4.5 hours outside of Lima. It is a favorite among travelers who like to try out sandboarding and riding a dune buggy. However, even if you prefer a more relaxed trip, Huacachina is still worth a visit. The village is built around a small natural lake where you can laze around and work on your tan or take a dip. Keep your eyes open because legend has it that you might just spot a desert-bound mermaid in the lake. Sure, Pantone releases some of the most beautiful color ranges, but nothing beats the natural, untouched colors in nature. 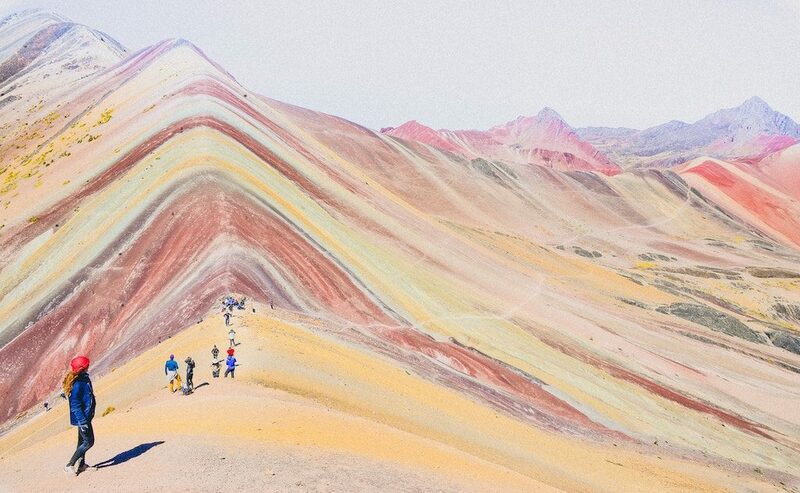 In Peru, there are many places to see these colors. One is the Rainbow Mountains just outside Cusco. This landscape is surreal and definitely worth a visit. You may opt to take a day trip or go on a multi-day trek. Then, head over to the Peruvian part of the Amazon jungle where you can witness the pink (yes, pink) natural-water dolphins in the Amazonian rivers. Other than these pink creatures, there are lot more to see in this part of the jungle since the Peruvian section is said to be the most prolific and diverse part of the Amazon. With all these gorgeous colors, those who are on a Peru photography adventure will not go home empty-handed. Creating a man-made island is no joke, and the Uru people have been doing it for years. Up in the Andes, one will find the small town of Puno and the largest lake in South America, Lake Titicaca, one of the increasingly popular Peru travel destinations. This town is home to the Uru and their centuries-old tradition of creating islands out of reeds. These floating hand-woven islands are a lot of work and need constant rebuilding since the bottom part tends to rot overtime. You will never experience anything like it anywhere else. Take in the breathtaking sights, engage with the natives, and learn more about this fascinating tradition. Peru group tours are becoming more and more popular, and just with the above destinations alone, it is easy to see why. Joining these tours is an ideal way of seeing the country while meeting new like-minded people who share the same appreciation for traveling and adventure. Do not be afraid to step beyond the Inca trail, for there is a lot to see in this gorgeous country.